Like the title character of this blaxploitation horror, this movie is at war with itself. The 1970s were the golden age of Blaxploitation films, and with the ground-level success of classics like Shaft and Foxy Brown came a whole string of lesser (read: cheaper) movies that had neither the budget nor the distribution to really make much of an impact, but were somehow more authentic because of this. 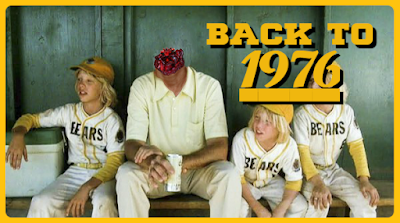 1976 also saw several movies that, at least on the surface, seemed to exploit other, more successful movies by simply adding “black” to the title. Director William Crain ventured into this territory with his 1972 feature film debut Blacula for American International to some success. Four years later, he ventured out on his own with Dr. Black, Mr. Hyde. Dr. Henry Pride (Bernie Casey from Never Say Never Again and In the Mouth of Madness) is a medical doctor who works at a free clinic in the inner city. Aided by another doctor (Rosalind Cash of The Omega Man), he’s also researching a breakthrough chemical that can regenerate liver cells. But mild-mannered Dr. Pride (not-so-subtly named) is a man of two worlds. One of his patients looks at him with disdain because he acts white, dresses white, and even drives a white car, but is not white. When he discovers that his liver regenerative formula turns his black lab mice into white, dominant predators, the wheels begin to turn. When Dr. Pride eventually does inject himself, he turns into an albino (white) guy with a ton of rage. When I explain the basic premise of this movie, it sounds like it would be a comedy, right? It’s really not, and that’s the first clue that this is a movie that is wrestling with itself. The movie was written by Larry LeBron and one of Roger Corman’s important executive producers, Lawrence Woolner, who would go on to found Dimension Pictures after leaving Corman’s side. The script is remarkably earnest and on-the-nose with a lot of its messaging. Furthermore, director William Crain seems bound and determined to keep this from becoming parody or satire, and gives the film a lot of nuance and character development that we don’t usually associate with Blaxploitation, or any other exploitation subgenre, really. Dr. Pride is given some understandable humanity and motivation that makes him sympathetic, but the social commentary about black-vs-white society is so blatant that it can’t really even be called subtext. That doesn’t mean the movie isn’t fun. It is. One of my favorite things inthe movie are two cops on the trail of Dr. Pride. Lt. Jackson is played by Ji-Tu Cumbuka (Bound for Glory, Brewster’s Millions) and Lt. O’Connor is played by Milt Kogan (E.T., The Descendants). We never get to see as much of them as I’d like, but I really dig their black cop/white cop interaction as guys who have seen it all. Even though they’re purely supporting characters, they remind me a little bit of Jules and Vincent from Pulp Fiction, and I can’t help but wonder if they were an influence (maybe even an unconscious one) on a certain exploitation-loving director. 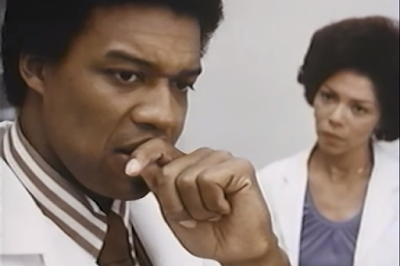 Former NFL athlete Bernie Casey is fantastic in the dual role of Dr. Pride and the white monster. Again, this is the kind of thing that could and should be absolutely ridiculous, but Casey never plays anything with a wink that betrays that he might find the subject matter to be beneath him. By day, Casey’s doctor is quiet, intelligent, and soft-spoken. By night, he’s violent and filled with rage. You know what this movie really reminds me of? The old seventies TV version of The Incredible Hulk that starred Bill Bixby and Lou Ferrigno. While the physical changes aren’t as dramatic as on that show, the idea of a soft-spoken man with a beast within is almost exactly the same. Even the makeup, done by a very young Stan Winston near the beginning of his career, is like a whiter shade of the body paint that was used in the 1978 TV series. Casey gives the premise credibility with his acting, but also with his physicality. He’s got huge muscles that you don’t expect, and he really seems dangerous when he’s rampaging. Also keeping us from getting bored are some well-placed action scenes, though they don’t quite come often enough. Dr. Pride’s victims include: street thugs, a bar-full of people, a plethora of prostitutes, and a pimp named “Silky.” That’s right, if you only watch this movie for Silky, you’ve won. We even get to see someone get grabbed by their junk. It’s a win-win! While the movie is not as concerned with horror as it should be given its title and premise, I’ll admit that the concept is a pretty decent derivation of Robert Louis Stevenson’s classic short story, and the idea of man using a corruption of science for personal gain is one of the cornerstones of the genre. Besides, William Crain makes good on a lot of our expectations in the final third of the movie, giving us chases and some cool, scary atmosphere. The horror elements aren’t totally forgotten about, but they aren’t up front, either. A big plus for this movie is the sweet score by a guy named Johnny Pate, a former jazz bassist who went on to contribute some of the most incredible music of the entire Blaxploitation cycle of the seventies. You can hear his work in Shaft in Africa as well as Superfly. Just like this movie and the title character, the score is divided into two equal parts. Fifty percent of the score consists of mournful, noir-inspired jazz that accompanies Dr. Pride during his daytime activities. The motif is tragic, but also beautiful; it would have been right at home in a film by Jacques Tourneur. The other fifty percent brings the funky soul you’d expect, with wah-wah drenched guitars doing that “chicka-bow-bow” thing that was such a staple of seventies exploitation. It’s a really awesome score that gives the movie a ton of character and holds up all on its own. You can probably tell that I think this movie has shortcomings, but also that I like it a lot. Yeah, it’s far from the top of the list when it comes to must-see Blaxploitation films, but I appreciate that it tries to balance a goofy concept with something substantial at its core. 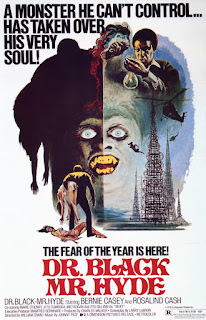 William Crain’s second directorial effort is not as fun or slick as Blacula, but there’s more heart…some would argue too much. Something else I haven’t mentioned is that there are a lot of parallels to the movie King Kong, with Dr. 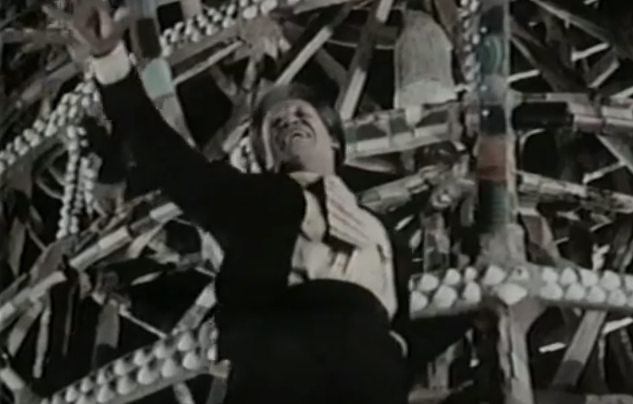 Pride exhibiting a lot of the sympathetic qualities of that movie “monster.” The climax of the movie, filmed at the Watts Towers in Los Angeles, makes sure that we didn’t miss the similarities. This is William Crain’s second and final theatrical feature, which is a total bummer. He was one of the first black directors to graduate from UCLA’s film department, and after his two Blaxploitation movies, he transitioned into television directing, helming episodes of Starsky and Hutch and The Dukes of Hazzard (for real!). Dr. Black, Mr. Hyde seems to have mostly flown under the radar since it was released over forty years ago, and that means that it hasn’t been treated very well. The only DVD that I know about comes from VCI, a company that I love for rescuing movies that no one seems to care about anymore, but who puts very little restoration work into their titles. As such, every presentation of Dr. Black, Mr. Hyde is washed out to the point that it almost looks black-and-white, and the print itself is damaged and has seen much better days. This is a movie that is begging for a boutique label to come along and rescue it, restore it, and give it a pristine presentation complete with a commentary track and a retrospective. Sadly, that’s probably not going to happen, and if it did, it would be too late. Bernie Casey died in September of 2017 and many of the key supporting players of this movie have also passed on. I started out by saying that this movie was at war with itself. It tries to be both an exploitation horror movie and a social commentary. I am fully aware that it doesn’t juggle these elements as well as it could have, but I also have to admit that I don’t really mind because enough of it works for me that I’m willing to accept it as it is. To be completely honest, I usually like stuff that doesn’t quite work a lot more than stuff that does, and I think I appreciate this so much because it’s overly-ambitious and not lazy. This is not a cash-in movie. 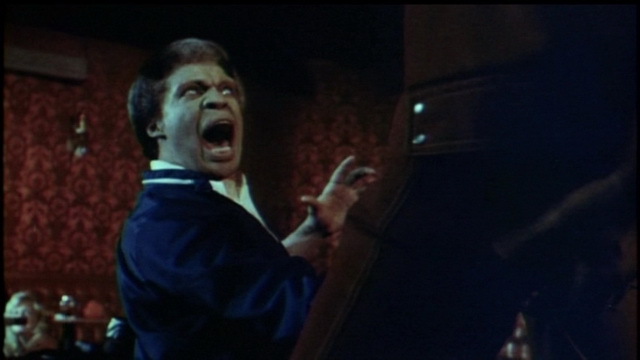 Bernie Casey’s impressive performance -- especially in the third act -- is really what puts this over the top for me. When you add in a superb score and a memorable climax, Dr. Black, Mr. Hyde becomes a flawed movie that tries to be more than it actually is. It’s hard not to root for that. To follow the spirit of this month on FThisMovie!, I have a seven-word review for the film. Bernie Casey: Too classy for this joint. It does feel like two different films, yet that is part of its charm. As you mentioned, Heath, DR. BLACK, MR. HYDE is not lacking in ambition. I was especially surprised by the scale of the finale. After close to a month focused on horror, seeing a little exploitation (loved that fight in the bar) was refreshing.